Dr. Masaru Emoto (1943-2014) inaugurated the first session of the Global Energy Parliament in India in 2010, and is one of its Founding Members. Masaru Emoto was born in Yokohama, Japan and graduated from the Yokohama Municipal University's department of humanities and sciences with a focus on International Relations. In 1986 he established the IHM Corporation in Tokyo. In 1992 he received certification from the Open International University as a Doctor of Alternative Medicine. Subsequently he was introduced to the concept of micro cluster water in the US and Magnetic Resonance Analysis technology. The quest thus began to discover the mystery of water. He undertook extensive research of water around the planet not so much as a scientific researcher but more from the perspective of an original thinker. At length he realized that it was in the frozen crystal form that water showed us its true nature through. He has gained worldwide acclaim through his groundbreaking research and discovery that water is deeply connected to our individual and collective consciousness. 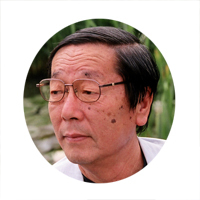 He was the author of the best-selling books “Messages from Water,” “The Hidden Messages in Water,” and “The True Power of Water.” He was a long-time advocate for peace in relation to water and served as the President Emeritus of the International Water for Life Foundation, a Not for Profit Organization and President of Office Masaru Emoto.